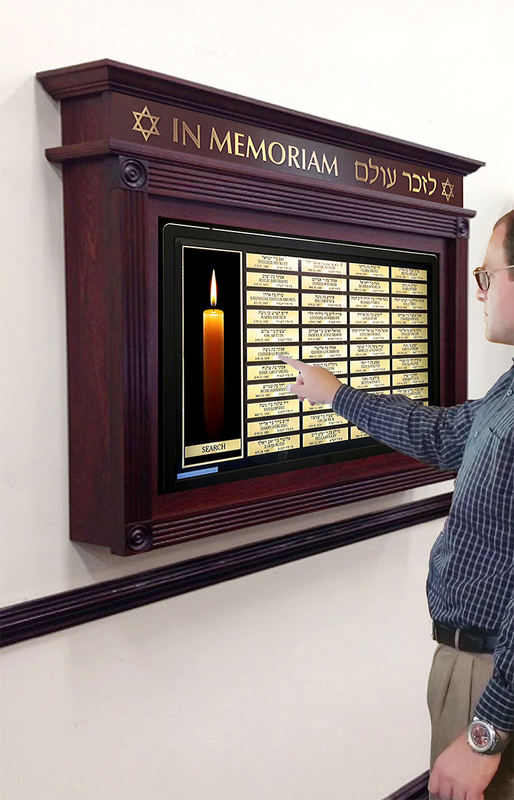 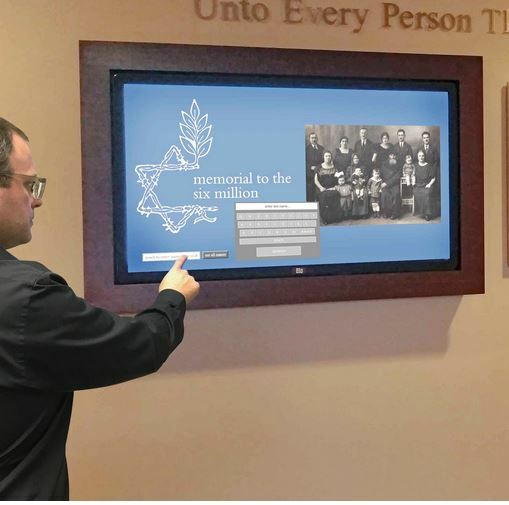 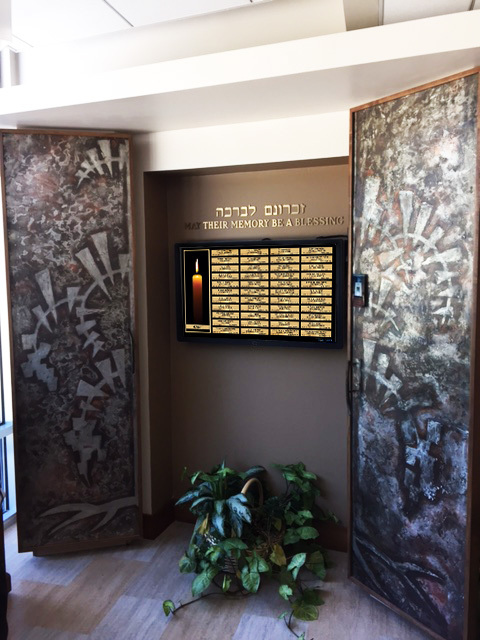 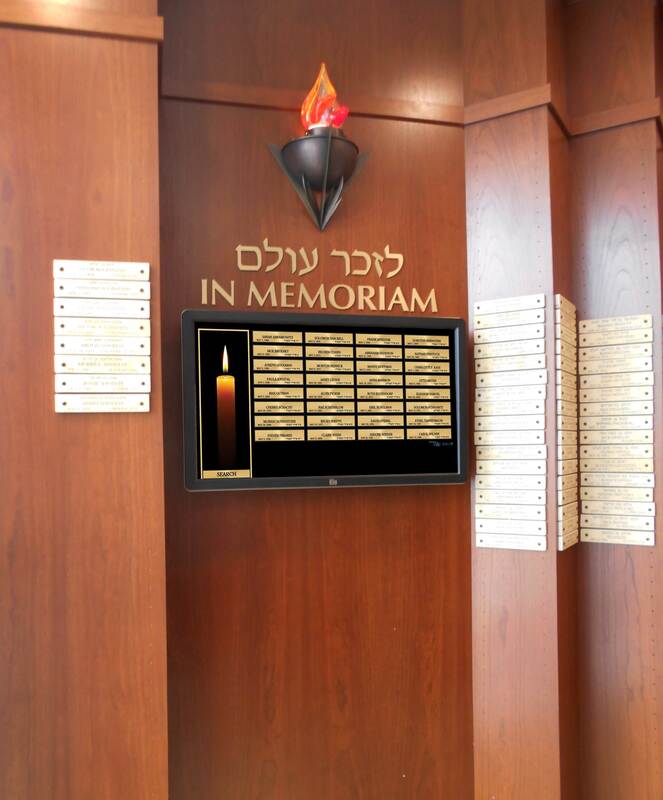 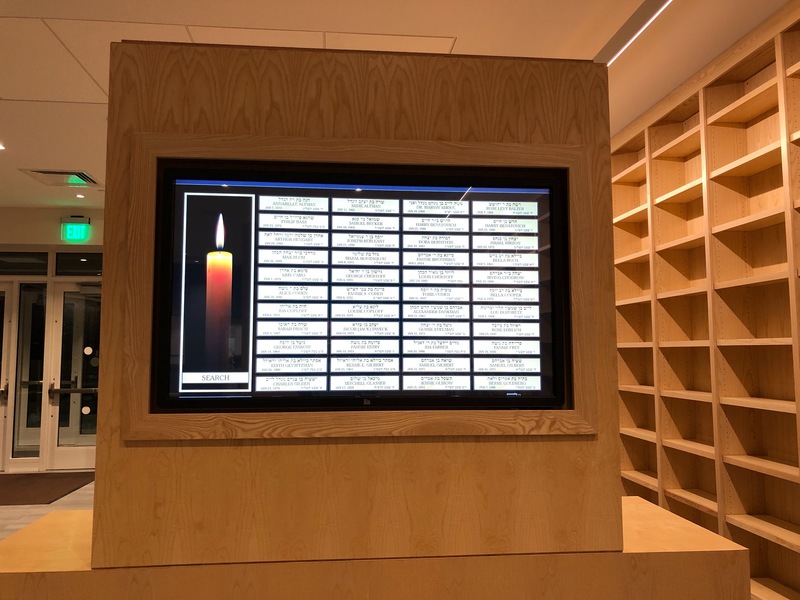 The Interactive Yahrzeit Memorial preserves the dignity and emotion of traditional Yahrzeit designs while incorporating compelling new features and innovations that greatly enhance the personal remembrance experience. 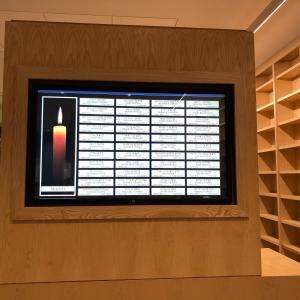 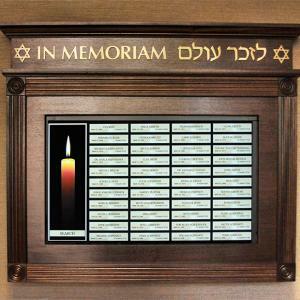 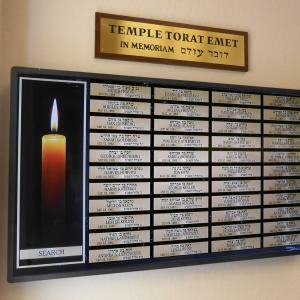 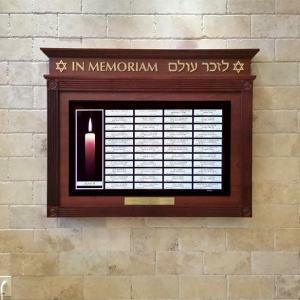 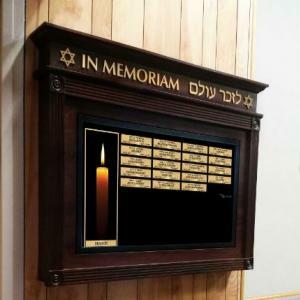 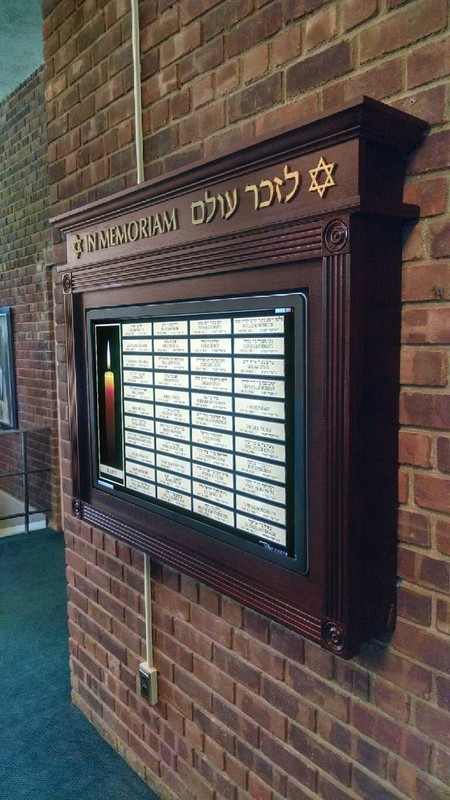 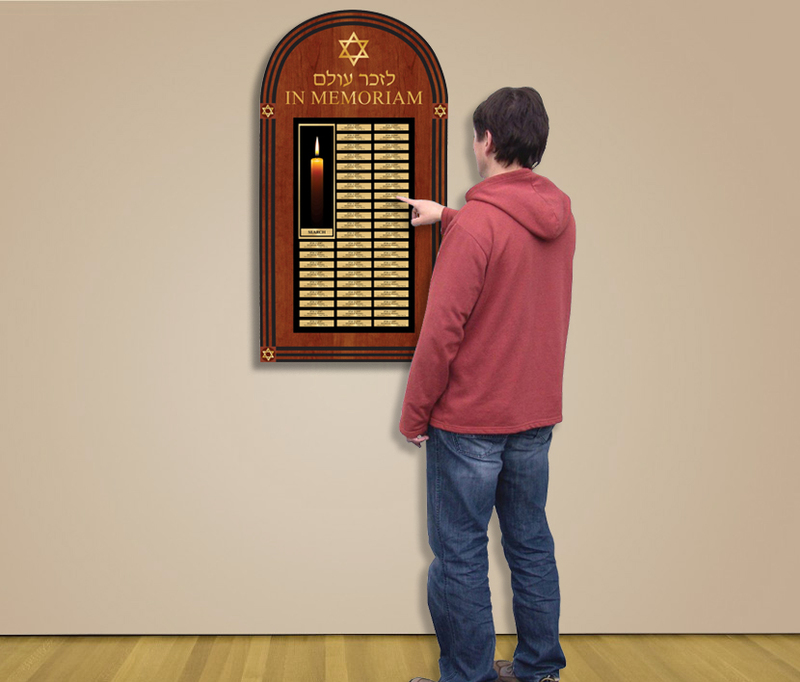 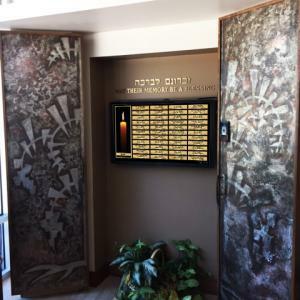 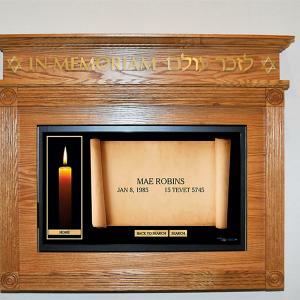 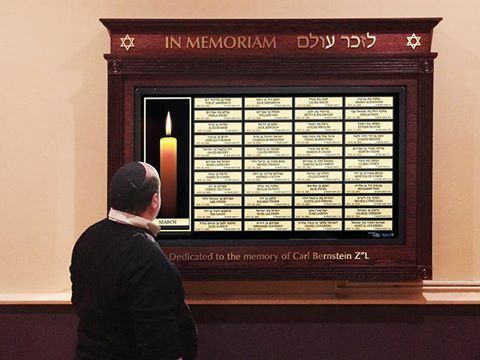 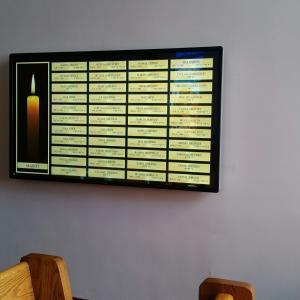 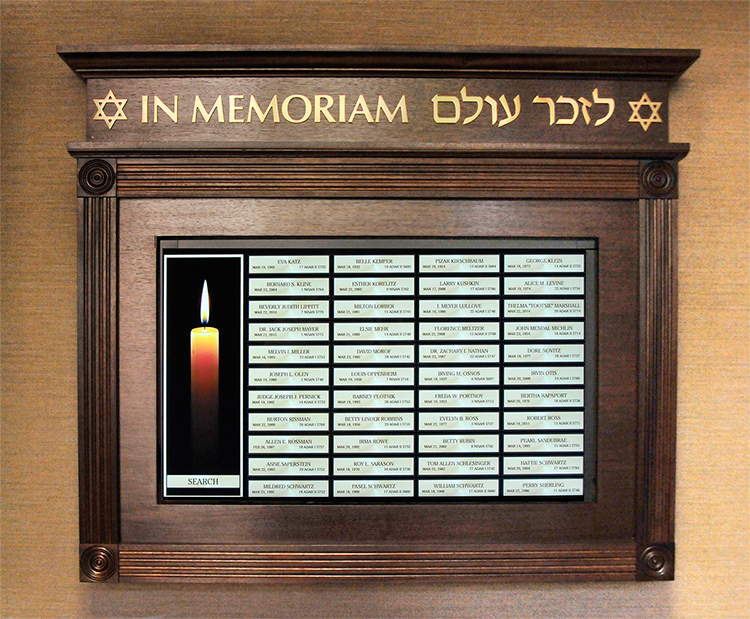 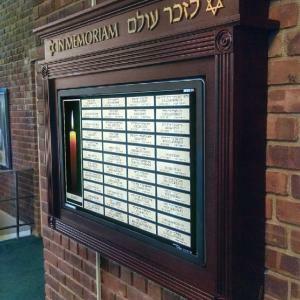 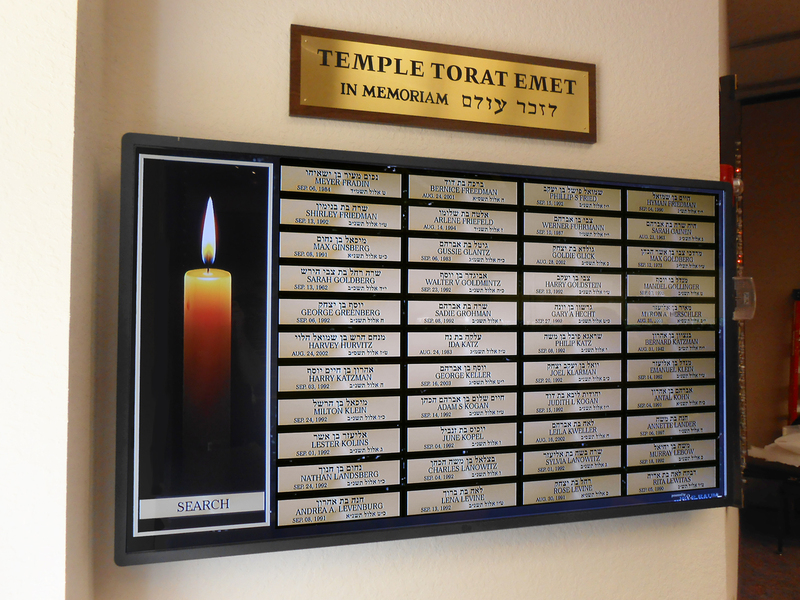 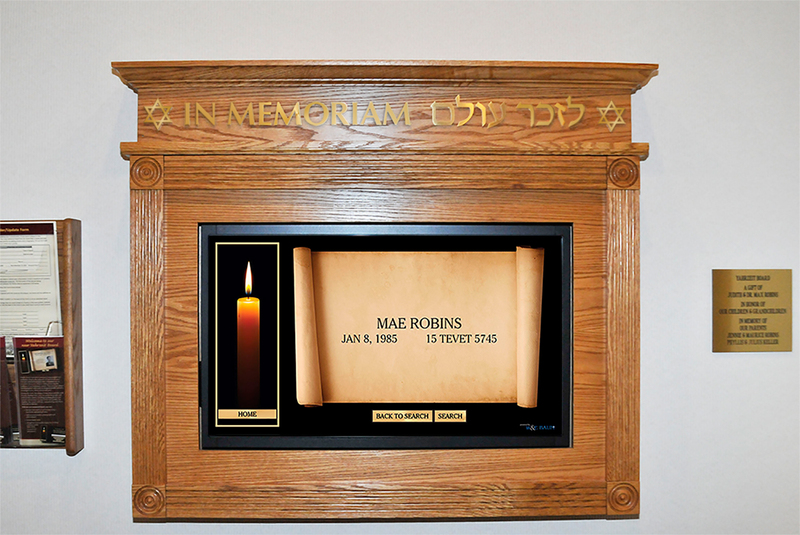 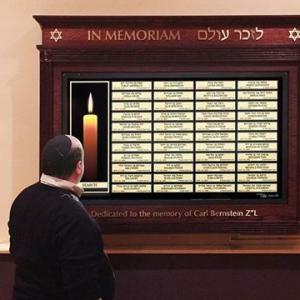 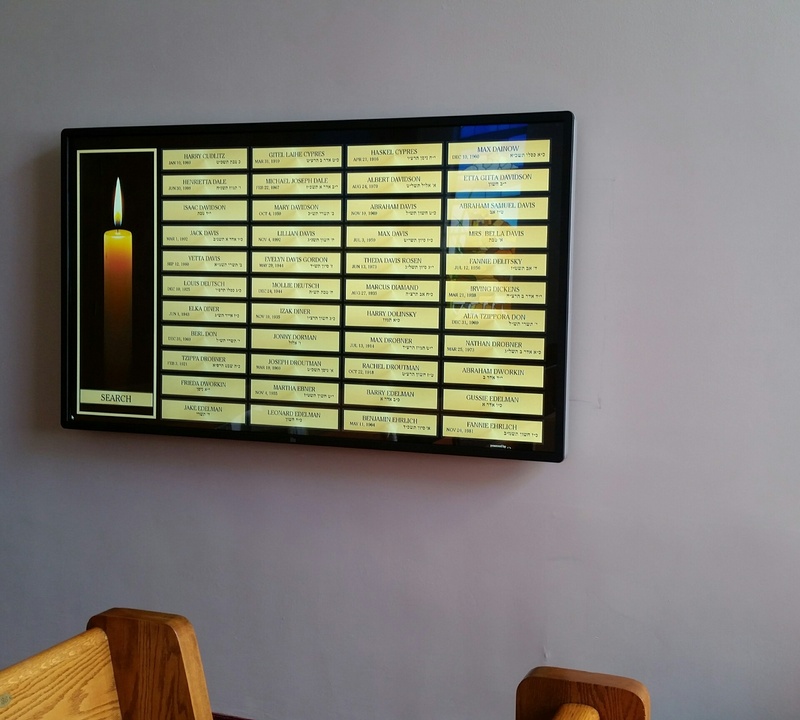 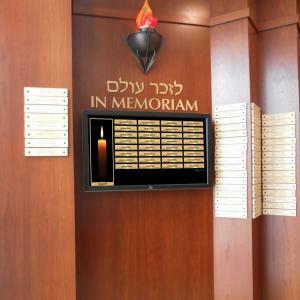 The Interactive Yahrzeit Memorial sets a new standard for synagogues in honoring deceased loved ones. 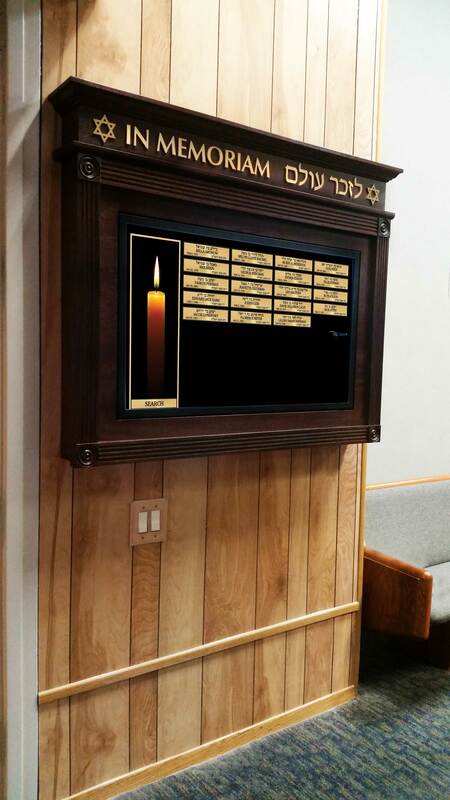 Its unique features, ease of operation/maintenance and stunning originality will truly set your synagogue apart for generations to come. 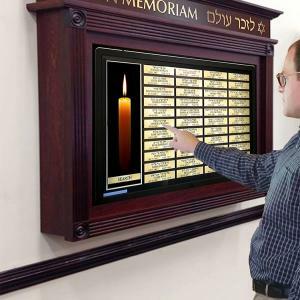 It is the ideal marriage of tradition and technology for the benefit of all. 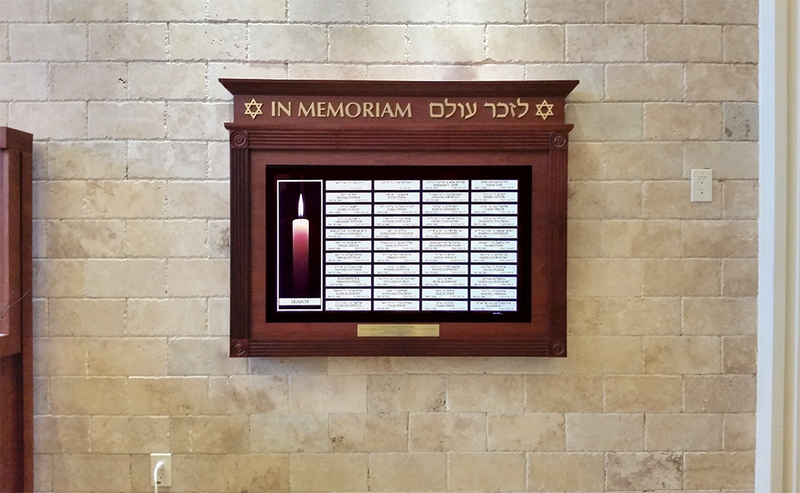 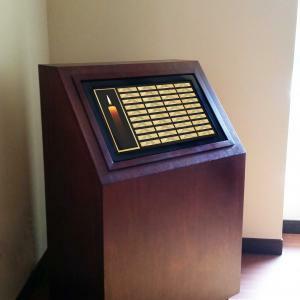 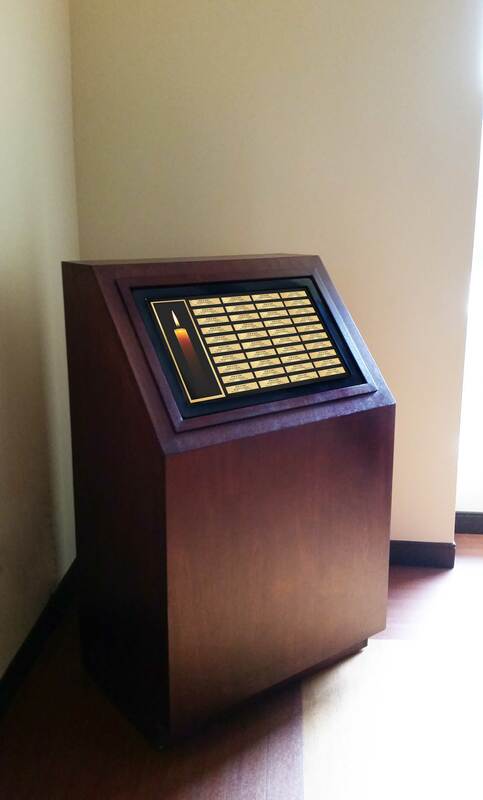 42" digital interactive Touchscreen Yahrziet system, encased in an Mahogany wood frame with Individual Brass Letters.